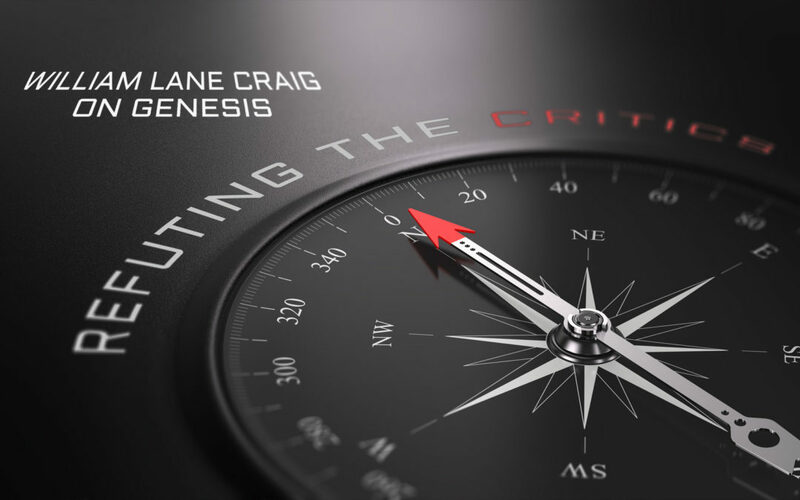 Our critic this week is Dr. William Lane Craig, a philosophy professor and Christian apologist. Although Craig defends Scripture in some areas, he adamantly denies literal (6-day) creation in favor of the big bang and secular timescale. Last week he responded to a question posted on his blog. His response seems to indicate a lack of faith in the clarity and authority of God’s Word, and a misplaced confidence in the opinions of fallible men. This highlights the difference between classical/evidential apologists like Craig, and those apologists who embrace biblical authority as the ultimate presupposition by which all experience is made intelligible. I am excited about your decision to tackle the Genesis account of Adam and Eve. I will attempt to ask my question without getting into Young Earth vs Old Earth. Basically, my question is how will you answer any questions about Adam and Eve without taking such a position? I personally think any exegesis or substantive meaning derived from the Genesis account will demand that one takes something of a position. Of course one could present the best evidences from both sides, but it seems to me that you must step momentarily into a camp during the process. I appreciate your defense of “mere Christianity” in that it keeps the bar low for the non-believer. My prayers are with you as you tackle what seems to be one of the most “landmine” laden topics in Christian apologetics. Joe’s question is a good one. If we take the Bible as our ultimate authority, as the infallible Word of God, and interpret it according to its self-authorizing hermeneutic, then we can come to no other conclusion than biblical creation. Namely, God literally and historically created in six days (six earth rotations, each bounded by an evening and a morning as in Genesis 1:5), God literally created Adam from the earth, and Eve from Adam’s side on the sixth day, and that this occurred several thousand years ago (~6000). However, William Lane Craig denies the literal history of Genesis because he has accepted the secular view of origins, namely, a big bang followed by billions of years of cosmic and then geologic evolution. Rather than the Bible being his ultimate authority, the opinions of secular scientists would seem to be Craig’s ultimate presupposition by which he evaluates and interprets Scripture. We will see this demonstrated in his response. Given that secular hermeneutic, how will Craig interpret the Genesis account of Adam and Eve? Are they just mythological symbols? If Craig interprets Genesis as something other than literal history, then how will he defend the Christian doctrine of marriage as one man and one woman united by God for life? After all, marriage has its foundation in the literal history of Genesis (Genesis 2:20-24) as Jesus affirmed in Matthew 19:4-6. If marriage does not have a basis in what God historically did, if Adam and Eve are just a story, then what is to prevent someone from telling a different story and thereby redefine marriage? Apart from Genesis history, how will Craig defend the doctrine of original sin, or death being the penalty for sin? These vital Gospel doctrines have their origin in the literal history of Genesis. Dr. Craig: My current study of the historical Adam does burst the bounds of “mere Christianity” and represents my own personal desire for more understanding of this doctrine of Christian theology. I would certainly not take my conclusions, whatever they will be, to be part of the proclamation and defense of the Gospel. Dr. Lisle: The problem with this answer is that the Gospel has its foundation in the literal history of Genesis. So our understanding of creation will indeed affect our proclamation and defense of the Gospel. The Gospel is that Jesus died for our sins. But from where do we get the idea that death is the penalty for sin? Genesis 2:17, 3:19. Where do we first encounter the word sin? Genesis 4:7. Where do we find the first promise that God would send a Savior? Genesis 3:15. Where do we first see animal sacrifice as a symbolic covering for the shame of sin? Genesis 3:21. The Bible gives us an entire world-and-life view. We cannot dismiss or alter the sections we do not like without it affecting all the other sections. And Genesis lays the doctrinal foundation for everything that follows. A correct and full understanding of the Gospel requires a correct understanding of creation and the fall of man. The apostle Paul considered Genesis so important to his defense of the Gospel, that he began with creation in explaining the Gospel to the Greeks in Athens (Acts 17:24). Dr. Craig: Now with respect to your question, Joe, I find it crucial to distinguish between Young Earth Creationism (YEC) as a hermeneutical hypothesis and as a scientific hypothesis. Dr. Lisle: A presuppositional (biblical authority) apologist would never take anything that the Bible teaches as a mere hypothesis to be evaluated by the allegedly superior intellect of man. Craig’s response suggests a very low view of Scripture. Biblical (6-day) creation is not a hermeneutical hypothesis (nor a scientific hypothesis) because it is not a hypothesis at all; it is recorded history. The Bible records that God made everything in six days, and Adam was made on the sixth day (Exodus 20:11, Genesis 1:26-31). Scripture gives the ages between parent and descendent in certain genealogies (e.g. Genesis 5), as well as other information by which we can conclude that the incarnation of Jesus was about 4000 years after Creation. “But I don’t interpret the text that way” simply will not work as an excuse. People do not have the ethical right to interpret the Bible as they wish so as to line up with their preferences or personal philosophy. The Bible itself instructs us how to interpret it as illustrated in Understanding Genesis. Of course, Craig is welcome to separate his examination of the scientific evidence regarding the age of the universe from the biblical text for the sake of argument. But the method of science is itself predicated upon the literal truth of Scripture, starting with an historical Genesis. Namely, our expectation that there are patterns to be found in nature is justified by the biblical revelation that God has imposed order on creation (Genesis 1) and upholds all reality by the Word of His power (Hebrews 1:3), in a consistent way with discoverable cycles (Genesis 8:22). Our expectation that our senses can reliably inform us about nature is founded on the biblical historical fact that God created our senses (Proverbs 20:12). Our presupposition that our own reasoning ability has at least some capacity to distinguish truth from error makes sense only in light of the Genesis historical fact that people are made in God’s image (Genesis 1:26-27). Science is only justified if the Bible – including biblical creation – is true. Hypothetically, if science could be used to somehow disprove biblical creation, then we would have no rational basis for trusting the method of science itself, and therefore no rational basis for trusting its alleged falsification of biblical creation. Any allegedly scientific argument for evolution or old-ages is necessarily self-refuting. Dr. Craig: The hermeneutical hypothesis concerns the correct interpretation of the early chapters of Genesis. Do these passages affirm, either explicitly or implicitly, that the universe was created in the recent past (say, 10,000-20,000 years ago)? Dr. Lisle: Actually, the biblical text indicates about 4000 years between the creation of the universe and the incarnation of Christ, which makes the age about 6000 years. I have yet to see any hermeneutically cogent argument that would allow for 10,000 years to say nothing of 20,000 or more. So the question is: do the early chapters of Genesis affirm that the universe was created several thousand years ago? Jesus certainly thought so. He took the creation of Adam and Eve to be an historical event, the foundation of marriage, and an event that took place at the “beginning of creation” (Mark 10:6-9). Indeed, Adam and Eve were created on the first week of the universe and not billions of years later. Dr. Craig: The scientific hypothesis concerns the empirical adequacy of the view that the universe is so young. Is the scientific evidence plausibly explained by the hypothesis that the universe originated only 10,000-20,000 years ago? Of course, we can make some assumptions about past rates and conditions and make an age estimate of something based on present measured rates. (It might surprise Craig to learn that the vast majority of such estimates of the age of the earth or cosmos are far less than the billions of years required in the secular timeline that he adopts.) But the assumptions of past rates and conditions are themselves not directly testable by scientific means since the past is not accessible by science, which involves observations and experimentation in the present. At best, we can argue by reductio ad absurdum, showing that certain assumptions about past rates and conditions yield results that are internally inconsistent. Namely, even when we make the secular assumptions of uniformitarianism and naturalism, most age estimates still turn out to be far less than required in the secular worldview. Dr. Craig: Now I have long ago taken a stand on YEC as a scientific hypothesis. My defense of the kalām cosmological argument on the basis of Big Bang cosmology presupposes that the universe is more than 13 billion years old. Dr. Lisle: This is an interesting admission. It seems like Craig is unwilling to consider young earth (biblical) creation because he would have to stop using an argument for God that he really likes. Well, yes. Craig should not have based his argument for God on a model of history that is false and anti-biblical. The purpose of the big bang is to explain the origin of the universe naturalistically – without invoking God. Some big bang supporters believe in God, but the big bang is supposed to work without Him. That’s the point. Craig has indeed taken a stand on the age of the universe. But this stand is not based on scientific evidence. And it is not based on Scripture. One might then ask, “What exactly is your opinion based upon?” I suggest that Craig accepts the majority opinion of secular scientists as his authority on matters of origins. His responses below strongly suggest this. Dr. Craig: Indeed, I think that YEC as a scientific hypothesis is quite hopeless. Dr. Lisle: I notice that Craig provided absolutely no evidence to back up his opinion. This doesn’t surprise me. As an astrophysicist, I have yet to see any evidence of anything in the universe that absolutely requires long ages. The secular story requires long ages of course, but the empirical evidence does not. Dr. Craig: But YEC as a hermeneutical hypothesis is quite another matter. I want to approach the text with an open mind, despite the terrifying prospect that YEC might actually be correct as a hermeneutical hypothesis. Dr. Lisle: Here Craig seems to admit that a “young” earth is biblically possible. Well, yes. It’s pretty hard to deny that a straightforward reading of Genesis produces such a conclusion. It takes some intellectual gymnastics to take “In six days the Lord made the heavens and the earth…” to mean “over 13 billion years the Lord gradually evolved the heavens and the earth.” I appreciate that Craig wants to approach the text with an “open mind”, although this might be difficult for him given that an exegetical reading of the text indicates a prospect that is “terrifying” to him. But I have to ask, why? Why is it so terrifying for a professing Christian to consider that the Bible might actually be right about the age of the universe? Would that really be so bad? Dr. Craig: In that case, we would face some very hard choices. Given YEC’s failure as a scientific hypothesis, we should have to conclude that the Bible teaches scientific error and therefore revise our doctrine of inspiration to accommodate this fact. Dr. Lisle: Wow! And this is the crux of the issue. What do you do when the Bible clearly teaches something that is at odds with the opinions of the majority of scientists? Craig’s answer is clear: you accept that the Bible is wrong! Such an answer is very revealing. What is the ultimate standard for Craig’s faith? It cannot be the Bible. This is the problem with classical/evidential approaches to apologetics. Such methods presuppose that the (fallible) mind of man is in a position to judge the infallible Word of God. Man’s understanding of nature is considered superior to God’s Word. And hence, when there is a conflict between the two, the evidentialist goes with man’s word. Conversely, a presuppositional apologist recognizes that man’s limited ability to understand nature is only possible because God’s Word is true! Therefore, when there is a conflict between God’s Word and the popular opinions of man, the presuppositional Christian says, “Let God be found true though every man be found a liar!” (Romans 3:4). And of course, history is simply replete with examples of the secular experts of the day that thought they knew better than God; but Scripture is always vindicated. There was a time when the experts taught a flat disk-shaped earth that floated in water, while the Bible taught a round earth that “hangs on nothing” (Isaiah 40:22, Job 26:7,10). The Bible was right; the experts of the day were wrong. During the middle ages, most astronomers believed that the number of stars was just over 1000, yet the Bible indicates a humanly-uncountable number (Jeremiah 33:22). The invention of the telescope in 1608 confirmed that the Bible was right and the experts were wrong. Have we learned nothing from history? Dr. Craig: That is a route one would prefer not to take. Dr. Lisle: From this, we conclude that Craig is strongly motivated to interpret Scripture in a non-exegetical way in order to accommodate his unjustified presupposition of the big bang. May I humbly suggest the reverse? I advise Craig (and everyone else) to let God be true, to take His Word as written, in grammatical historical context, and then use God’s Word to discern which of man’s ideas are virtuous, and which are fallacious. Why not base our thinking on the infallible, and use this to evaluate the fallible? Isn’t that far more reasonable than the reverse? Dr. Craig: So I’m very interested in exploring the suggestion of some commentators that the primaeval history of Genesis 1-11 is mytho-historical, a sort of fusion of history and mythology that should not be interpreted literally. Dr. Lisle: So, interpreting Genesis as fiction – as a myth – (with perhaps elements of real history) would allow Craig to preserve his unbiblical view of origins. One can see the appeal. But is this what an exegetical approach would indicate? What does the Bible itself say about the kind of literature it is? Is the Bible a myth – a cleverly devised tale rather than recorded history? 2 Peter 1:16 states, “For we did not follow cleverly devised tales when we made known to you the power and coming of our Lord Jesus Christ, but we were eyewitnesses of His majesty.” Indeed, the Bible is primarily a history book written by eye-witnesses to its events. Genesis specifically affirms that it is history and not a made-up tale when it states, “This is the history of the heavens and the earth when they were created…” (Genesis 2:4, NKJV). To deny that Genesis is literal history is to say that God is wrong in what He has said about the text. And it is to give up the very foundation of the Gospel. Do we interpret the Bible to align with our view of the world, or do we adjust our view of the world to align with the Bible? How you answer that question will reveal the true standard of your faith. The kalām (cosmological) argument is an argument from causality. It argues that everything that has a beginning has a cause. The universe has a beginning and therefore requires a cause. And that cause is God. The last step in this proof tends to be the most problematic, and many would say that it doesn’t follow logically. Note that this argument does not require a big bang. The universe can be shown to have a beginning from considerations of entropy, quite apart from any fictitious version of its origin, such as the big bang. Although I don’t believe that the cosmological argument can stand alone apart from the Christian worldview, it does have some merit as a confirmation of biblical creation within the Christian worldview. Naturalism denies any supernatural action by God, including creation. Uniformitarianism denies the global flood mentioned in Genesis 6-8.